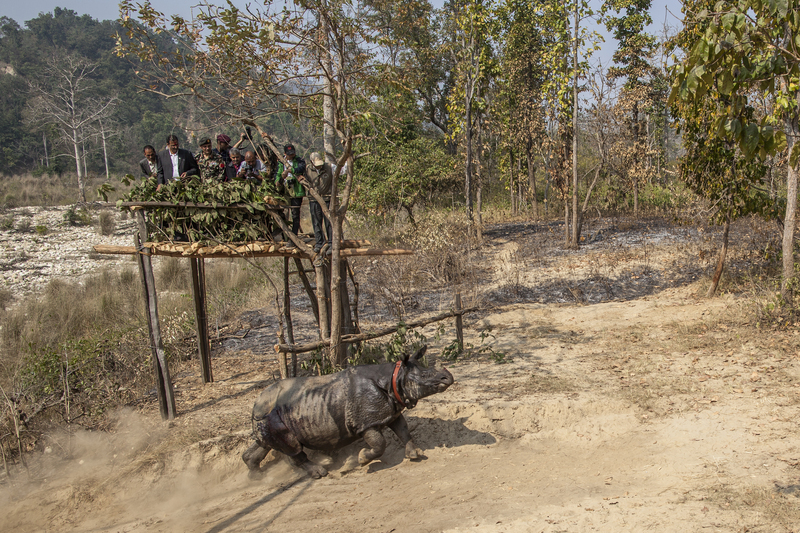 While Africa struggles to stem record-breaking rhino poaching, Nepal today marked two years since its last rhino was poached on May 2nd 2014 – as well as its 4th year of zero poaching of rhinos since 2011. 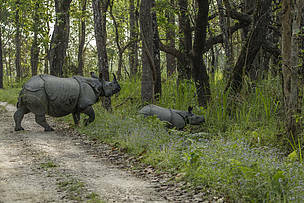 “This exceptional success is based on a combination of high-level political will, and the active involvement of the park authorities, Nepal Army, Nepal Police, conservation partners and local communities,” said Krishna P. Acharya, Chief-Planning Division and Spokesperson of the Ministry of Forests and Soil Conservation. This is the first time that Nepal has achieved two consecutive years of zero poaching, which has helped to increase its population of greater one-horned rhinos to 645, the highest recorded number in the country so far. 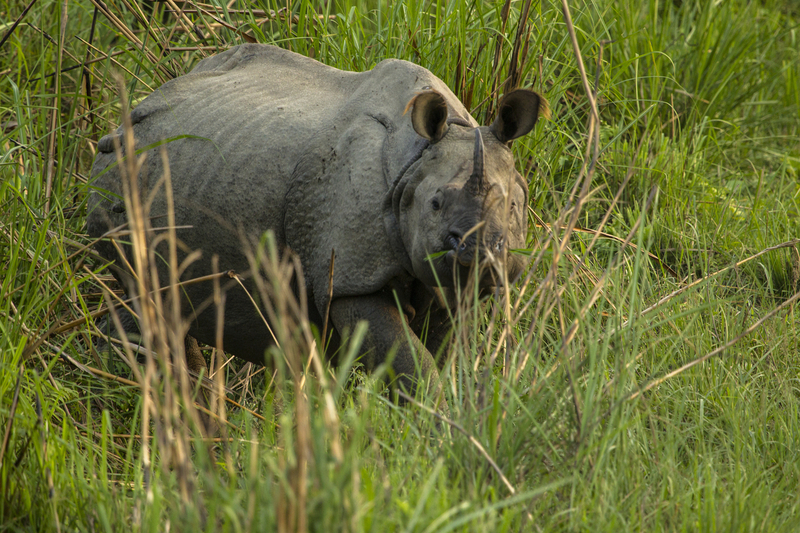 Nepal’s zero poaching success is rooted in a coordinated national response, which is driven from the centre and implemented at grassroots level, including enhanced protection efforts within national parks and surrounding buffer zones, involving the use of new approaches, such as the highly effective Spatial Monitoring and Reporting Tool (SMART) patrolling. Nepal has also been a driving force behind the Zero Poaching framework, which outlines the six key pillars (assessment, capacity, community, cooperation, prosecution, technology) that countries need to address. Governments and protected area authorities can now access the Zero Poaching toolkit, which contains the best available anti-poaching tools and resources. But Nepal has also scaled up its work beyond anti-poaching to boost its rhino population. 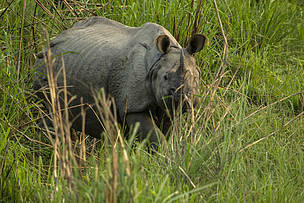 Nepal achieved its first 365 days of zero poaching for rhinos in 2011. Three times since then it has not lost a single rhino to poachers over the course of 365 days. During one of those periods, Nepal did not lose any tigers or elephants to poachers either. 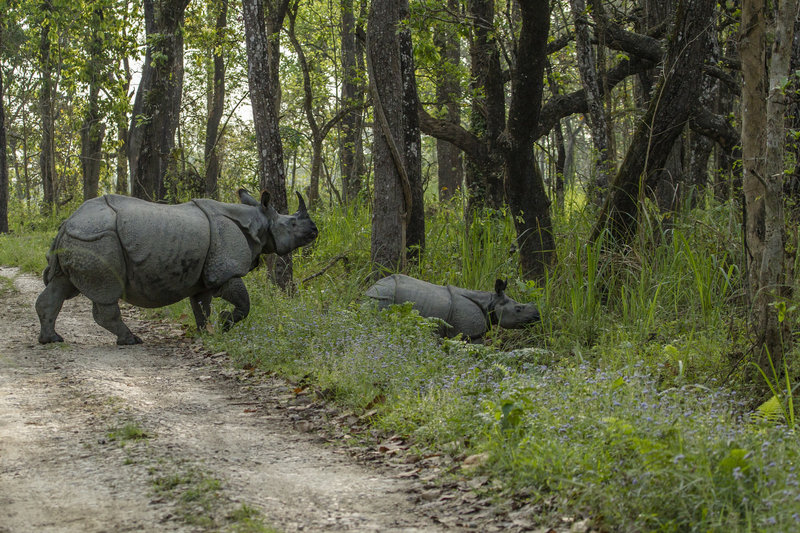 Nepal rhino count, Chitwan National Park, April 2015: one-horned rhino mother and calf.